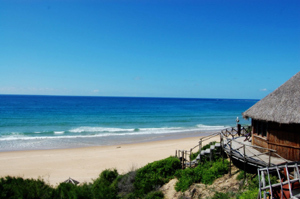 A seaside village in southern Mozambique about 480km north of Maputo that offers you a delicious long sandy beach curved along the village and stretching up the coastline. A magnet for surfers and divers because of the wonderful waves and exceptional diving opportunities. 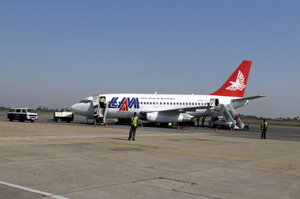 There is an airport at Inhambane 25km from Tofo with flights from Maputo and Johannesburg, the flights are limited to certain days and get booked up fast during holidays. 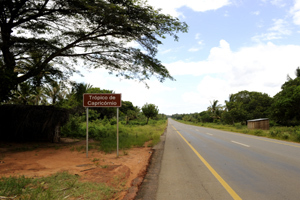 There is very little transport between Inhambane and Tofo so you will need to organise a transfer with the accommodation you book. Better if you can make the journey by car, any car will do. Good news is that Tofo is easy to get to in a normal car NO 4wd required (although note some beach accommodation is difficult to park the car close). It is a long drive from Maputo on an average always under repair tar road, its not a fast road and they are always speed trapping so leave early and drive carefully.